Freshers’ week can be tough. A week spent partying, making friends and finding your way around college, means home-cooked meals are often sacrificed in favour of time saving takeaways. While Domino’s has come to the rescue of many a time poor student, takeaways are rarely nutritious or budget friendly. So in order to save some pennies and prevent the onset of the dreaded ‘fresher’s 15’, we have compiled a list of websites that will cater to both the culinary novice and the certified foodie alike. With dishes such as ‘Hot and Spicy Peanut Butter Noodles,’ Donalskehan.com will ensure you never again resort to that tub of Pot Noodles. The site contains recipes created for his ‘Meals in Minutes’ series with RTÉ. They usually take between 5 minutes and half an hour, to prepare cook and serve, so there is something there to suit every busy schedule. Videos detailing the preparation and cooking of each meal are also available online on the RTÉ player. If you’ve ever looked in your cupboard and not known how to make a single meal out of its contents, then Recipepuppy.com is the place for you. Here, list of all ingredients can be uploaded and the site will generate a selection of recipes based on the foods you already have at home. This will save time and money on another trip to the shops. For the health conscious student, who wants to experiment with lifestyles such as a ketogenic diet, Dietdoctor.com is a fantastic resource. The site allows you to choose from options such as vegetarian, dairy free or on a budget and can generate a weekly meal plan based on your preferences. It automatically adjusts the ingredient quantities based on the amount of people you’re cooking for. 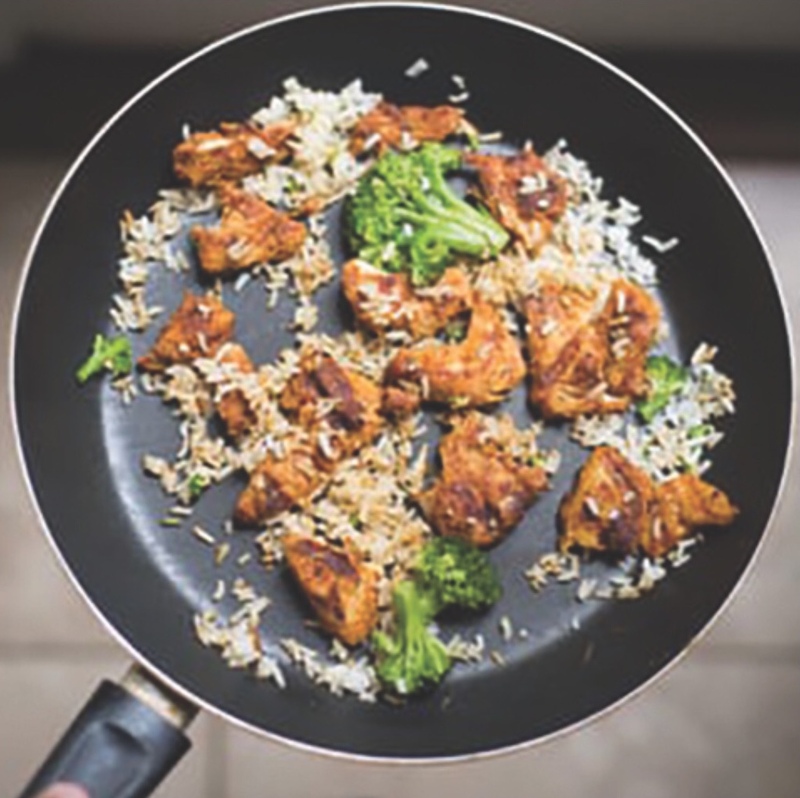 This makes the recipes ideal for students who take turns cooking for their housemates. SpoonUniversity is a resource for college students that can be followed online, through their huge presence on social media platforms such as Facebook and Instagram. They create videos and articles showcasing some of the most important do’s and don’ts in the kitchen. They also feature useful hacks for cooking when you don’t have conventional cooking methods and provide substitutes for making student favourites such as the Mac and Cheese burger, at home for less. BBCgoodfood.com is an extremely popular website for cooks at all stages of life. What makes it so useful for students, is that every recipe has a difficulty rating so that you can choose something suited to your ability. Their ‘cheap and healthy’ section, trumps almost all others in terms of creativity with dishes such as the pizza omelette coming in at less €1 per serving. The site also has a feature that allows you to choose a list of recipes and have all of the ingredients added to a shopping list. This can be accessed on your phone via their app and will help students avoid impulse buying in their first weeks of college.